Happy Birthday Slots | FREE Spins & Exciting Presents! Put on your dancing shoes and party hat, and spin Happy Birthday Slots today! The decorations are up and cake is beautifully decorated! So, what do you say? 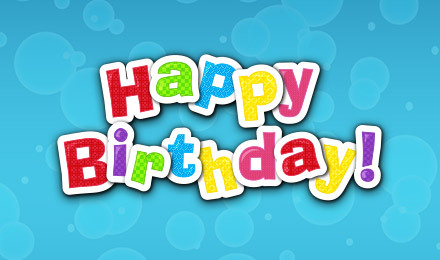 Whether you just had a birthday, or you’re counting down the days, you’re invited to play Happy Birthday Slots! Because it’s always a good time for cake and pressies! Happy Birthday has a 95.4% RTP, 5 reels and 25 paylines. Look out for the fun Streamers symbol, which is the game’s Wild, as well as the delicious Cake, which is your Scatter. When you spin 3 or more Cakes, you’ll trigger your FREE Spins!